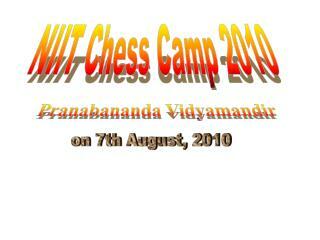 the rool to play chess. squares, 8 on each side. 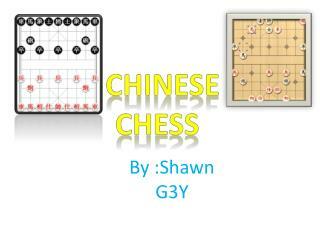 There are 2 players, one with white pieces, one with black pieces. 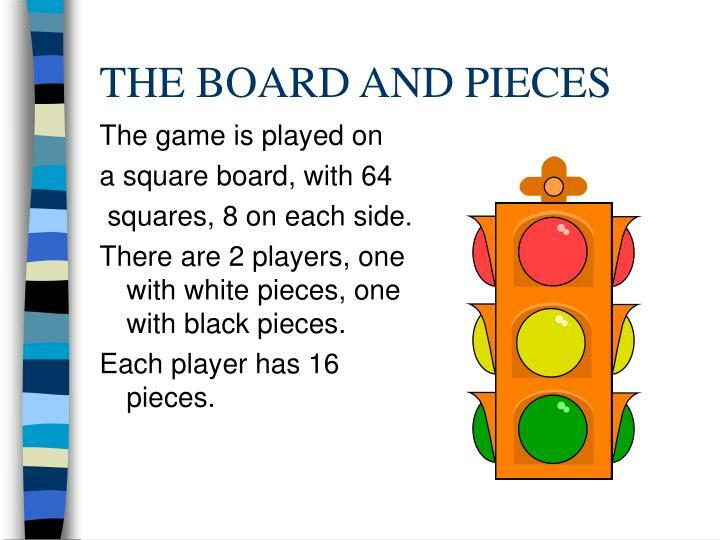 Each player has 16 pieces. 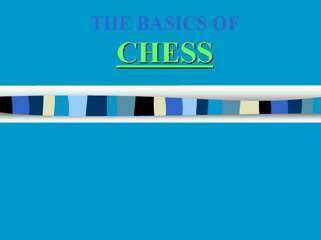 There are 8 pawns on each side. 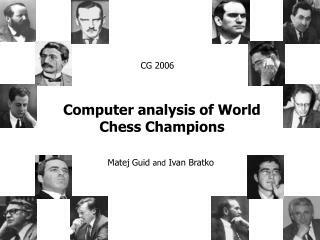 They start the second rank, in front of the major pieces that are on the first rank. 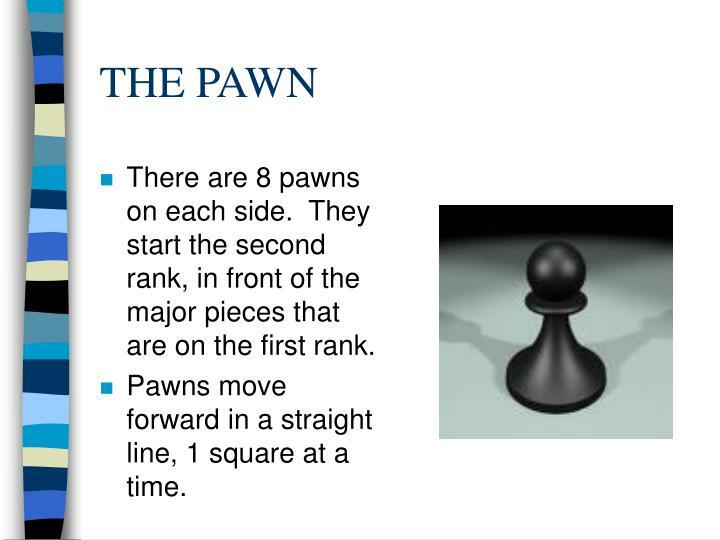 Pawns move forward in a straight line, 1 square at a time. 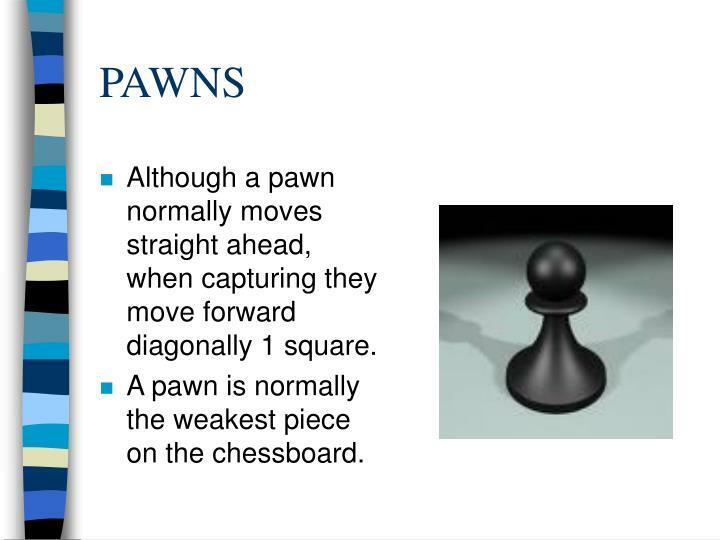 Although a pawn normally moves straight ahead, when capturing they move forward diagonally 1 square. 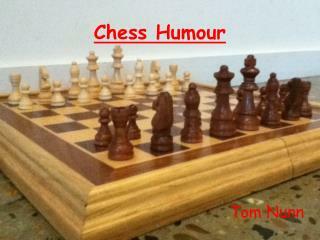 A pawn is normally the weakest piece on the chessboard. 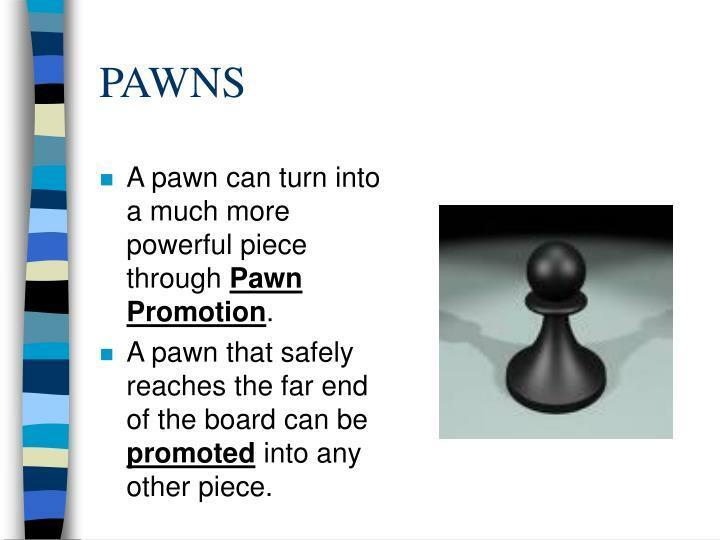 A pawn can turn into a much more powerful piece through Pawn Promotion. 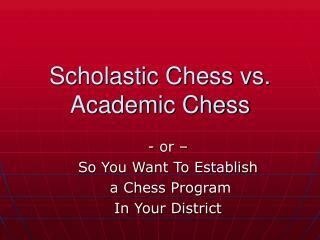 A pawn that safely reaches the far end of the board can be promoted into any other piece. 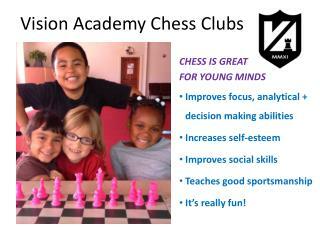 The King is the most important piece on the chessboard. 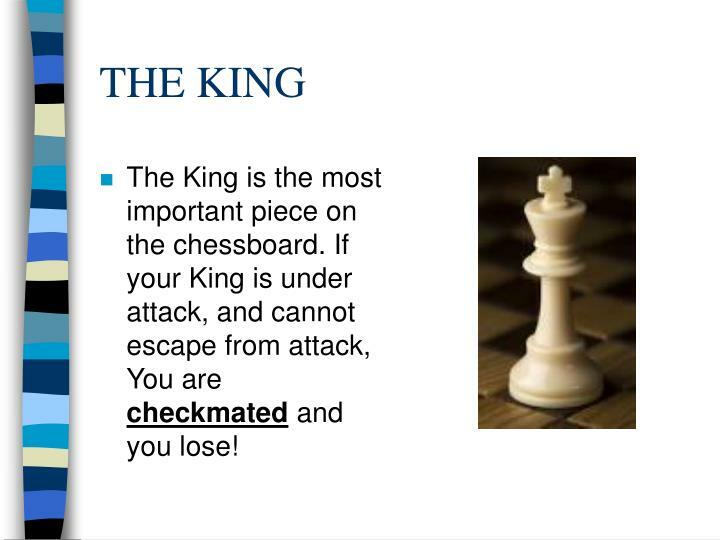 If your King is under attack, and cannot escape from attack, You are checkmated and you lose! 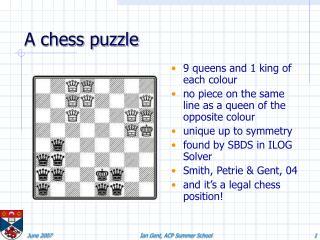 The King can move in any direction, but normally can move only one square at a time. 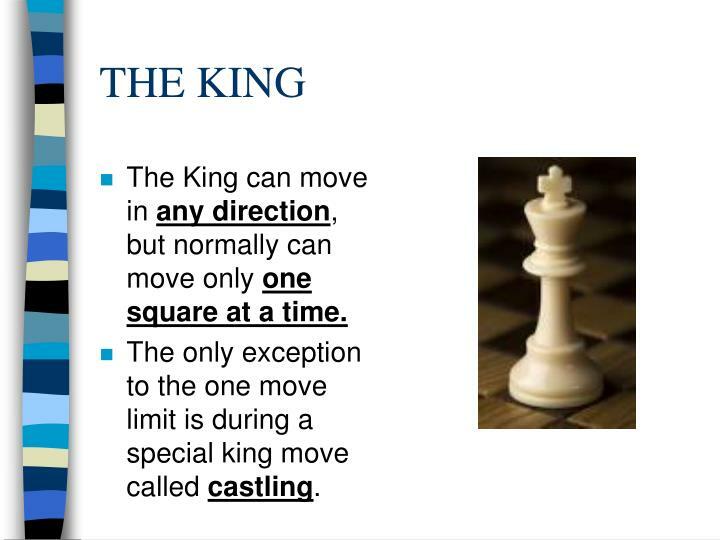 The only exception to the one move limit is during a special king move called castling. 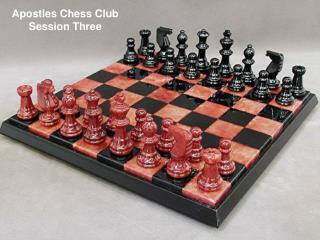 Each side has 2 Knights. They are shaped like a horse head. 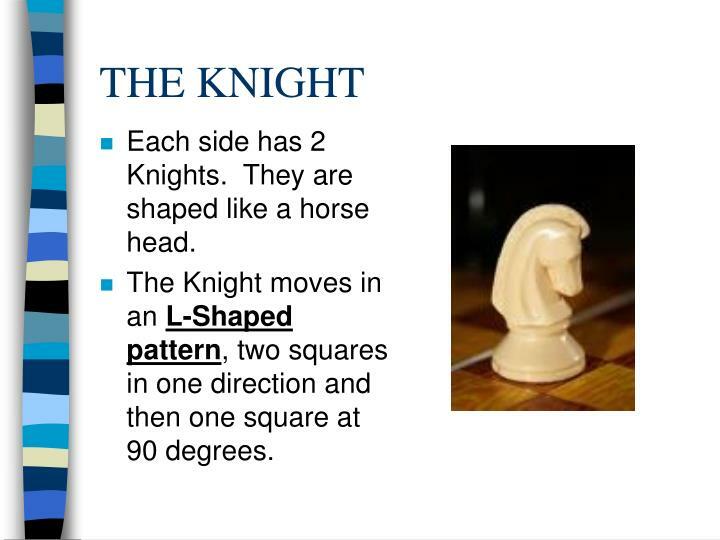 The Knight moves in an L-Shaped pattern, two squares in one direction and then one square at 90 degrees. 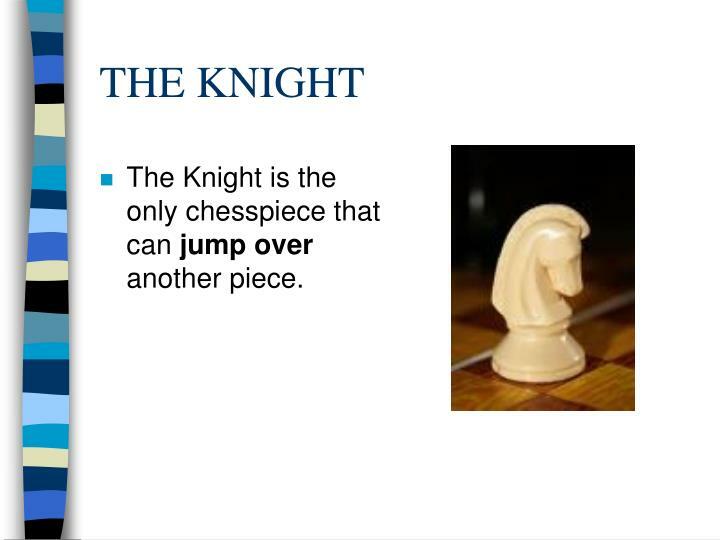 The Knight is the only chesspiece that can jump over another piece. 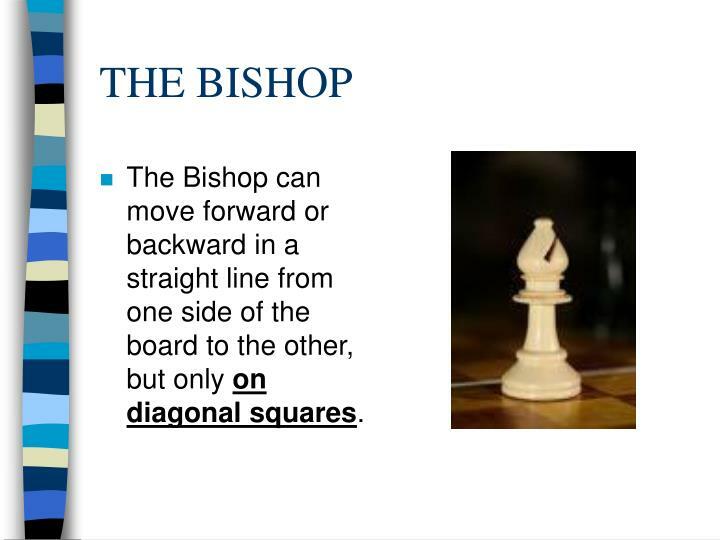 The Bishop can move forward or backward in a straight line from one side of the board to the other, but only on diagonal squares. 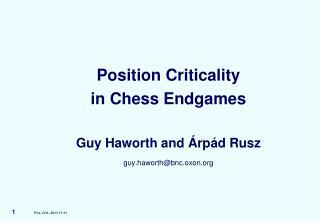 The Rook, like the Bishop, can move the entire length of the chessboard, both forward and backward. 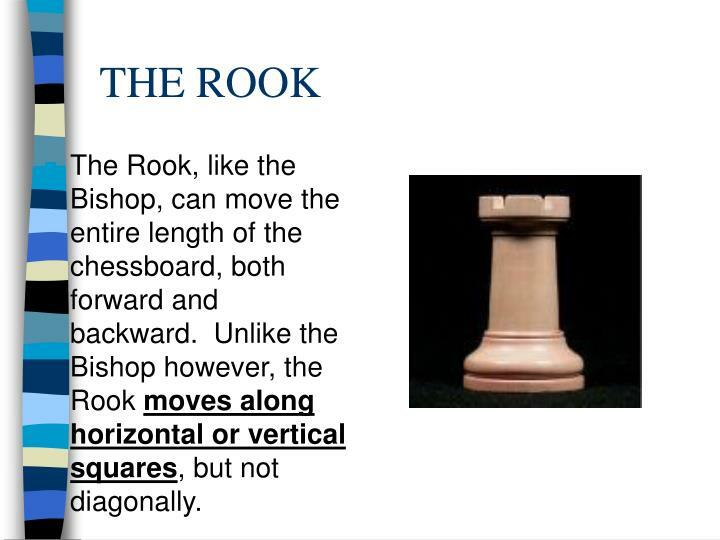 Unlike the Bishop however, the Rook moves along horizontal or vertical squares, but not diagonally. 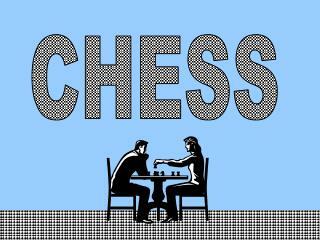 The Queen is the most POWERFUL piece on the Chessboard. 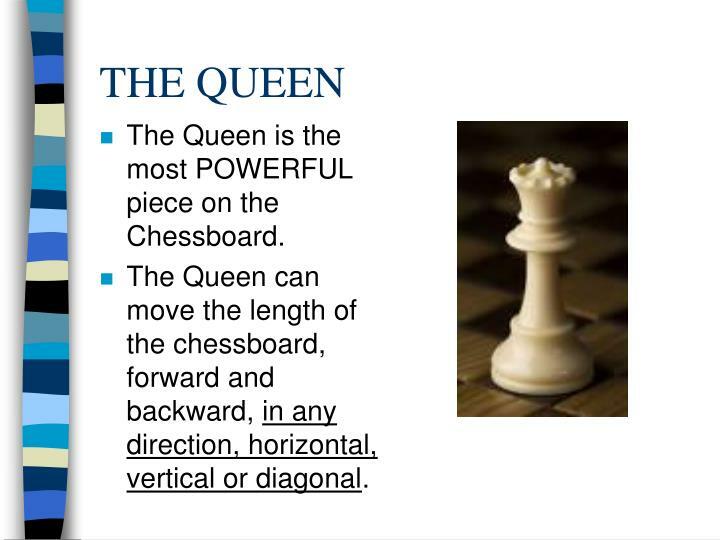 The Queen can move the length of the chessboard, forward and backward, in any direction, horizontal, vertical or diagonal. You “Castle” to protect your King. 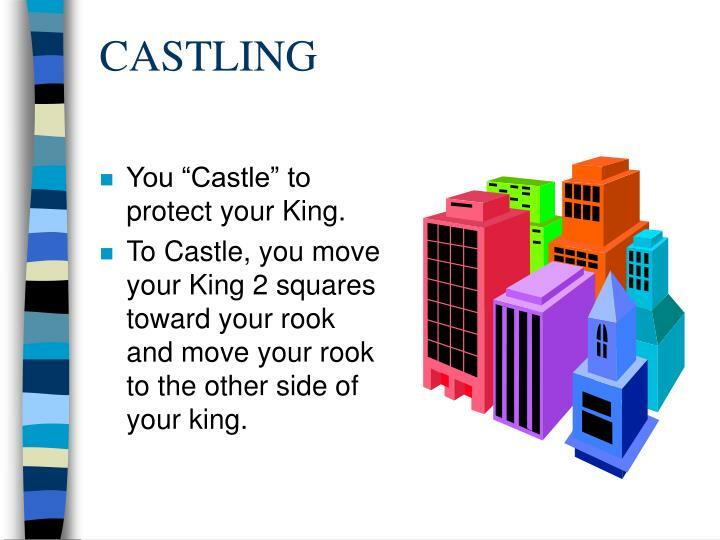 To Castle, you move your King 2 squares toward your rook and move your rook to the other side of your king. 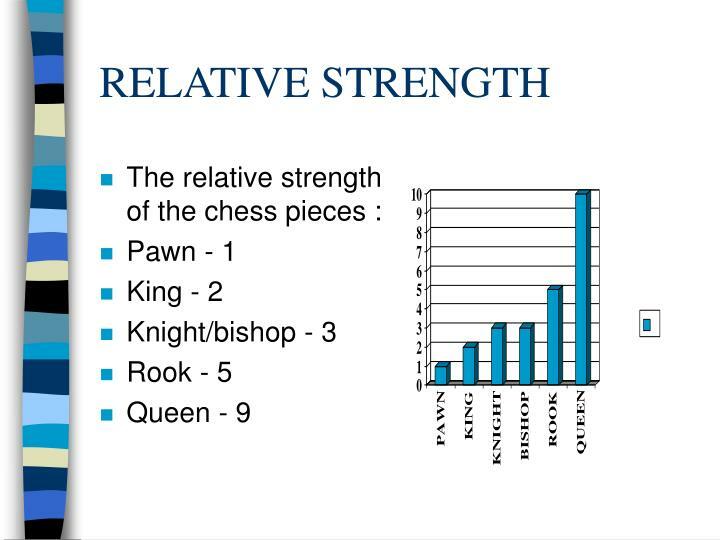 The are no other pieces between your King and your Rook. 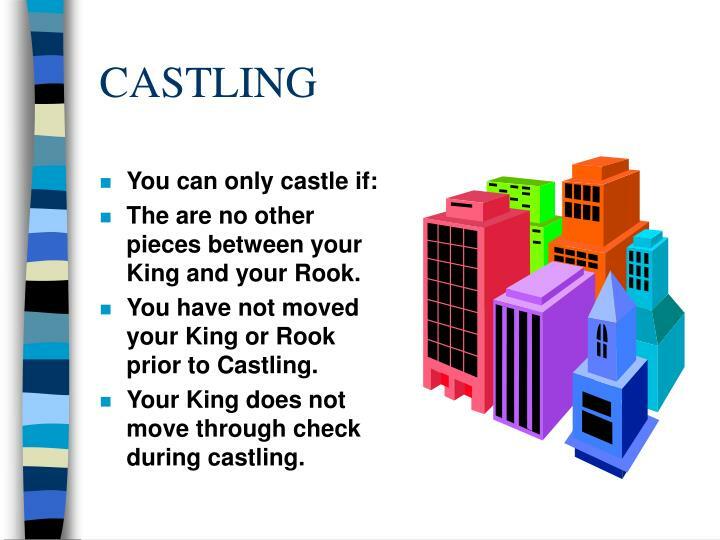 You have not moved your King or Rook prior to Castling. 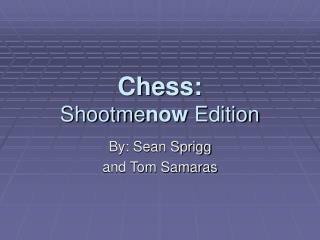 Your King does not move through check during castling. L.O. 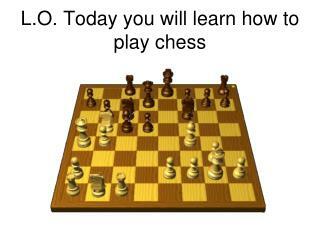 Today you will learn how to play chess -. 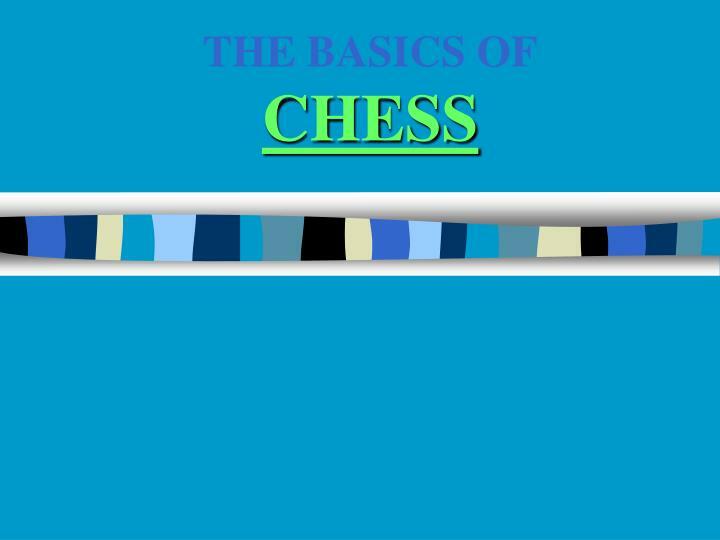 how to play chess. 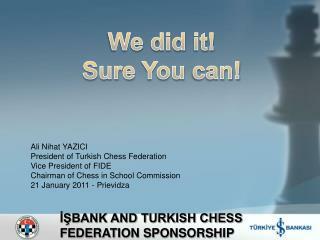 the pieces. the pawn. the rook (castle). the knight (horse). the bishop. the queen. the king. 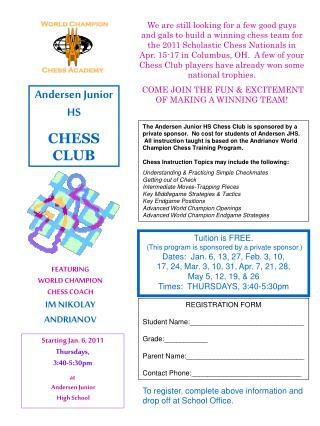 setting up the chess board. make sure the white square is on your right. 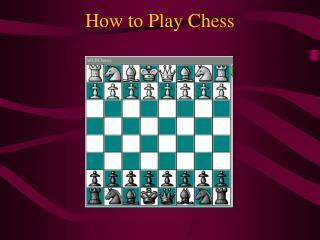 How to Play Chess -. name of each piece. &lt;&gt;. 9 points. &lt;&gt;. 5 points. &lt;&gt;. 3+ points. &lt;&gt;. 3 points. 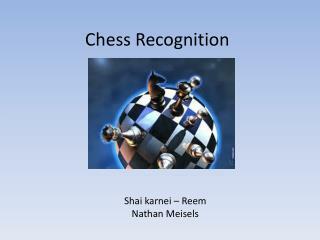 Chess Recognition -. shai karnei – reem nathan meisels. motivation. 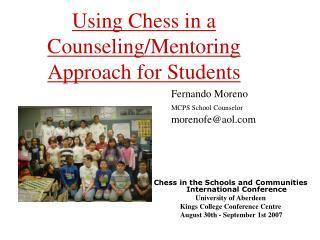 for this project we aimed to detect chess pieces and their location. 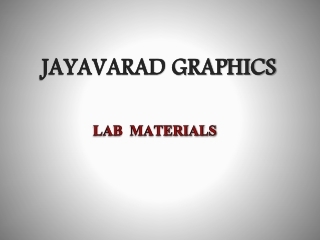 ui. 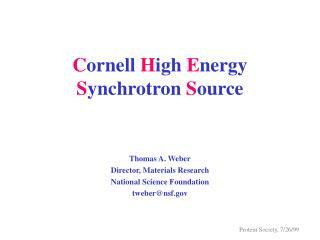 simple – take a picture – get a picture back with homography and pieces type and location. 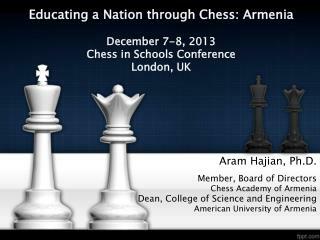 Educating a Nation through Chess: Armenia December 7-8, 2013 Chess in Schools Conference -London, uk. 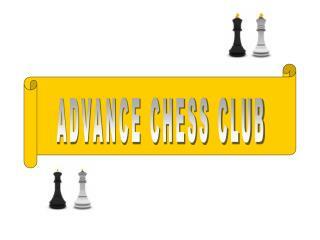 aram hajian, ph.d. member, board of directors chess academy of armenia dean, college of science and engineering american university of armenia.